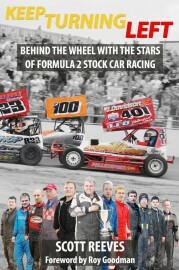 BriSCA F2 welcomes the news that a new book is being published about Formula 2 stock car racing. Keep Turning Left is written by Scott Reeves, author of Gold Top: The John Lund Story, and is published by Chequered Flag Publishing. 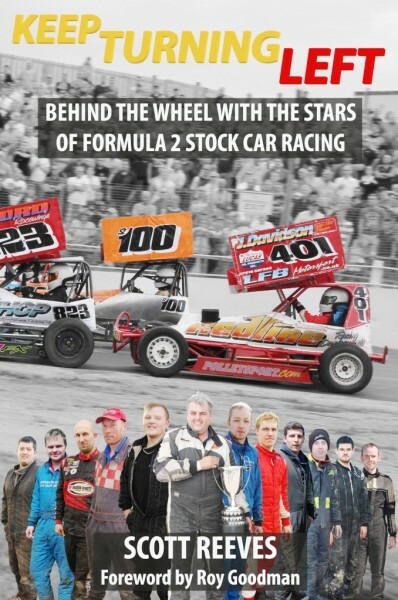 The book promises an open and honest account of stock car racing from twelve top F2 drivers. Among them are World Champion Micky Brennan, National Points Champion Gordon Moodie, former champions Rob Speak, Barry Goldin and Mark Simpson, and rising stars Sam Wagner and Jack Aldridge.